As recent expectations have said, though, the company may not be making its own vehicle. Apple has finally spoken officially about its plans to participate in the field of autonomous vehicles. The confirmation comes from none other than Tim Cook himself, who states that while the company may not build its own vehicle as initial speculations had stated, Apple is indeed working on technology that will be used to power self-driving vehicles. Apple's prime focus, as Cook states, is to build hardware and software for autonomous systems, something that the company intends to use in more artificial intelligence-powered areas. "We sort of see it as the mother of all AI projects. It's probably one of the most difficult AI projects to work on. Autonomy is something that's incredibly exciting for us," Cook said, as reported by The Independent. 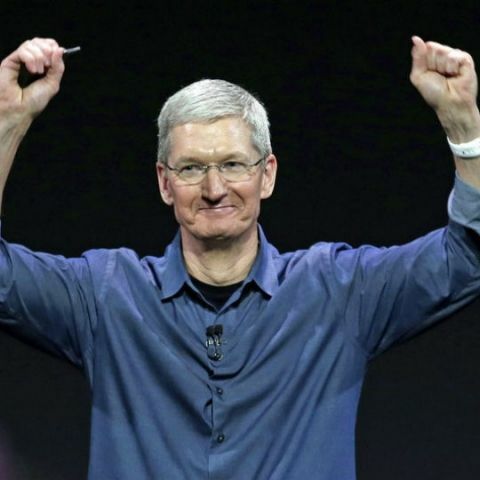 It has been clear from Cook's statement that the company is putting plenty of emphasis on this field, with the Apple CEO describing the work being done on autonomous vehicles as development of "core technology". As with most of its technologies, Apple may be looking to build an entire ecosystem of products and services that will power connected car services, infotainment and artificial intelligence. After much speculation, a relatively recent report seemed to spot the first ever Apple-powered self-driving car. It was fitted with a Velodrome LIDAR and other sensors, and against common perception, was not a custom-built vehicle by the company, but a Lexus SUV. With Cook finally confirming on Apple's uber-secretive self-driving project, it remains to be seen how and when Apple demonstrates its work. The company would have stiff rivalry, with the likes of Google, Intel and others already having made noise in this field.